How many cubic inches make up a gallon? And how many pounds is a gallon of water? Darn it, I can’t remember! Luckily, things are much easier for us in the Metric System. So far we have learned about lots of Metric units, but we haven’t studied their relationships. Believe it or not, it’s not a random jumble of units; it’s actually very well-organized. Today students completed The Mass of Water Lab (pg107) with the goal of figuring out how it all fits together. They measured a plastic cube that had a volume of about 15 cm3, and then they dropped it into a beaker of water. Guess what! The water level rose by 15 ml. The lesson? 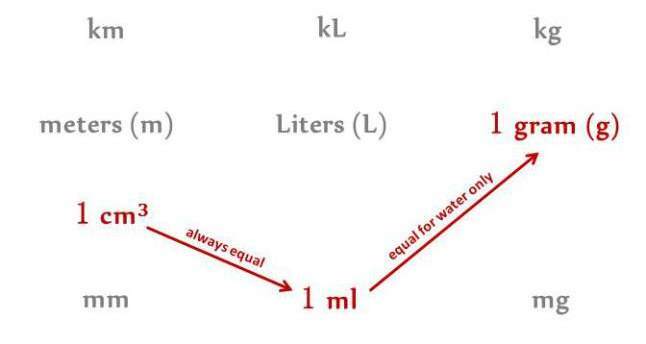 In the metric system, the units of cm3 and ml are equal. Next the students weighed a graduated cylinder. Then they filled it with 30 ml of water and weighed it again. Guess what! The mass increased by 30 grams. The lesson this time? 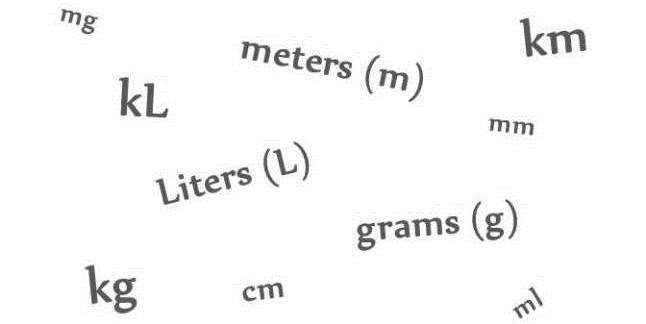 In the metric system, 1 ml of water weighs exactly 1 gram. I guess it’s not a random jumble after all.